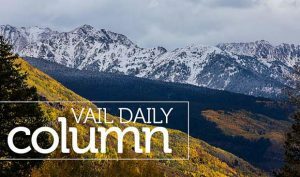 While the next week to 10 days will continue to be warm and dry around Aspen, climate models indicate the upcoming monsoon season could start early and bring more rain than usual this summer, a forecaster said Wednesday. Indeed, a map on the CPC website shows a green bull’s-eye hovering over the Colorado-Utah border and extending across the western half of Colorado, most of Utah, northern Arizona and the northwestern corner of New Mexico. It indicates a 40 percent to 50 percent probability of above-average precipitation for that area. The map also indicates probable above-average precipitation for the eastern United States and Alaska, while the Pacific Northwest has a 40 percent to 50 percent chance of below-average precipitation. 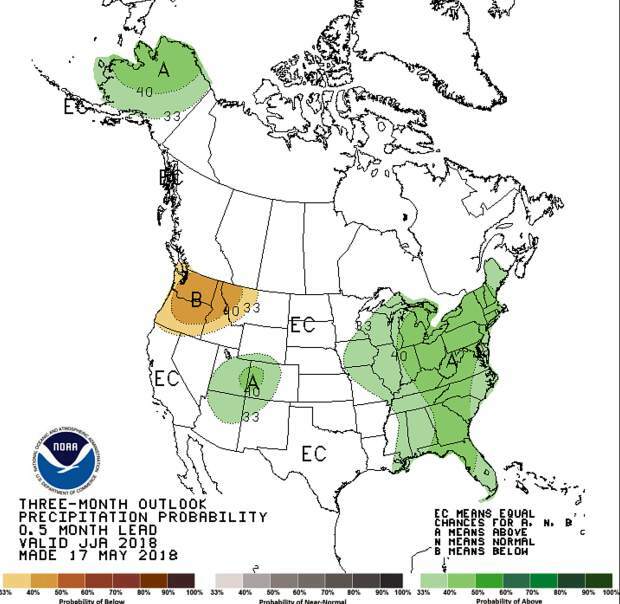 The rest of the West and Midwest have equal chances for below average, normal or above average rain, forecasters predict. 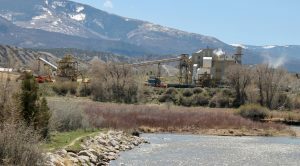 A prediction released Monday indicates that last winter’s La Nina system has dissipated and that temperatures in the Pacific Ocean, which tend to control those winter conditions, have returned to “near average.” La Nina occurs when ocean temperatures cool and high pressure deflects storms north of Colorado, Renwick said.